Four-course Thai bbq + SCMB beer pairing! Guests will be served four courses (family style) and each course will be paired with a different Santa Cruz Mountain Brewing beer. Guests will leave with a full belly and a souvenir glass. About the HANLOH: HANLOH makes food from scratch. Our goal is to stay true to the flavors of Thai cuisine, while prioritizing local, sustainable ingredients whenever possible. Our meals pack a punch. Our menu has traditional techniques as well as inventive elements! HANLOH hosts Thai pop-ups in Santa Cruz and around the Bay Area, where we highlight few dishes at a time. We enjoy doing pop-ups, it is a way for us to introduce new dishes and get feedback from public. We love that we have face-to-face experience with our clients. 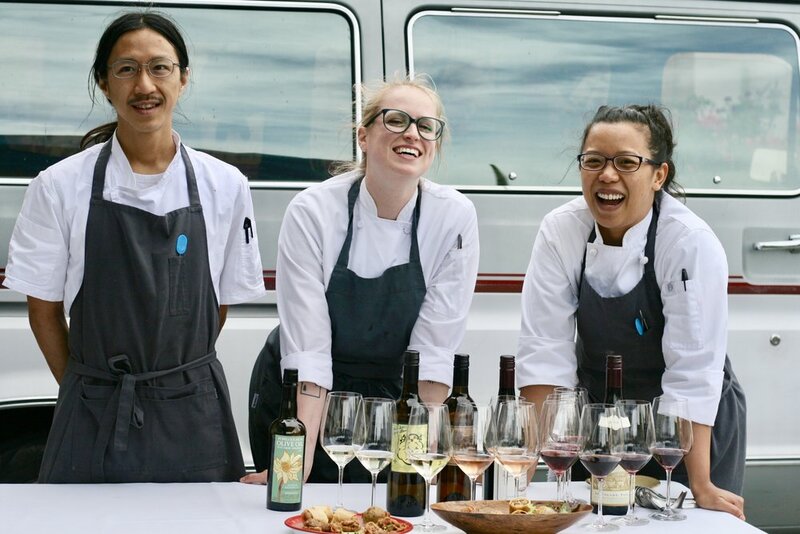 About the Summer Supper Series: On various Wednesdays throughout the Summer, Santa Cruz Mountain Brewing will be hosting a beer pairing with local chefs and food artisans. All the meals are served family style in the open air beer garden. Price includes a four- course meal paired with beers from Santa Cruz Mountain Brewing and a souvenir glass.